Reader in Mathematics at City’s Department of Mathematics, Dr Bogdan Stefański and academics from several leading institutions in Europe, have been granted a €100k award to organise and host “New Developments in ADS3/CFT2 Holography”. There have been two major challenges to the intersecting spheres of mathematics and physics. First, the need for a non-perturbative understanding of gauge theories, and secondly, the explanation of black hole thermodynamics, using a quantum gravity theory. 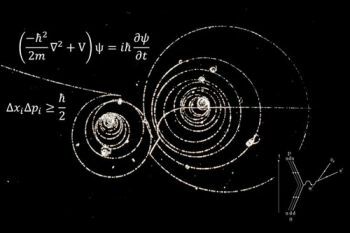 Gauge theories are the mathematical equations that describe elementary particles, such as quarks and gluons that make up the real world. Calculations in quantum gauge theories are performed in successive approximations, known as perturbation theory. Gravity describes a different class of physical phenomena including objects such as black holes. Stephen Hawking showed that black holes, when treated quantum mechanically, emit radiation and possess thermodynamic properties like temperature and entropy. String theory is a leading candidate for addressing both of the questions raised above, because it is a unified quantum theory of gravity and gauge interactions. One of the most important developments in string theory was Juan Maldacena’s postulation of the gauge/string correspondence. This remarkable conjecture posits the equivalence of gauge theories and quantum theories of gravity (as described by string theory), and teaches us that a deep and, until now, unexplored connection exists between these two, a priori very different, types of theories at a non-perturbative level. Together with a team of young researchers (Dr. Riccardo Borsato, Dr. Olof Ohlsson Sax and Dr. Alessandro Sfondrini) as well as Dr. A. Torrielli at Surrey, City’s Reader in Mathematics, Dr. Bogdan Stefański has been involved in a collaborative investigation of an important example of the gauge/string correspondence known as AdS3/CFT2. “While AdS3/CFT2 has been known since Professor Maldacena’s seminal paper, it is only through the advances of my team that a more complete understanding of it is now emerging”, says Dr. Stefański. He continues: "Their research has successfully developed powerful mathematical methods known as integrability to investigate AdS3/CFT2. These methods allow us to quantitatively answer questions about a duality that until now has been beyond the grasp of international researchers”. Dr. Stefański will be co-organising a workshop involving some of the world’s leading theoretical physicists to be held at the Galileo Galilei Institute in Florence, Italy, from 20th March to 12th May 2017. Funded by a €100k award from the Italian Nuclear Physics Institute (INFN) and the Simons Foundation, Dr Stefański and his collaborators will join academic colleagues from the Department of Applied Mathematics and Theoretical Physics (DAMTP) Cambridge, Imperial, Eidgenössische Technische Hochschule (ETF) Zurich, Surrey University, and Nordisk Institut for Teoretisk (NORDITA) Stockholm, who will collectively run the Florence workshop. Quantum Gravity is a theory that describes gravitational interactions using a quantum mechanical framework. It is notoriously difficult to obtain such theories. A Quantum Gravity theory will contain a graviton, which is a particle that mediates the gravitational force.